A large proportion of the world is about to celebrate Christmas, the Christian festival that celebrates the birth of Jesus Christ. The BL would like to take a closer look at parts of the arduous journey that Jesus Christ took, through a well-known painting that depicts a part of his life. 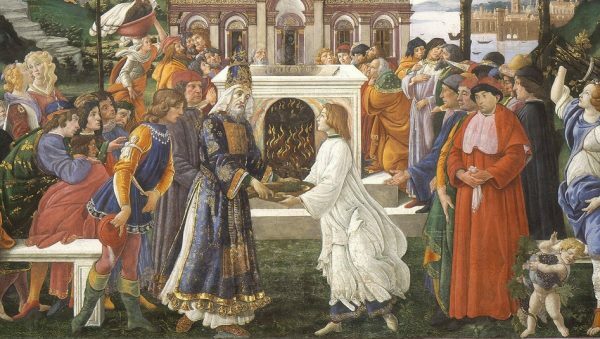 Within the realm of Renaissance art, the key characteristics are acute fine detailing and masterly composition, but also the delicate art of storytelling. Traditionally through the artwork, the viewer will be taken through an almost overwhelmingly detailed barrage of events, packed with color and emotion, before the complete story unfolds. 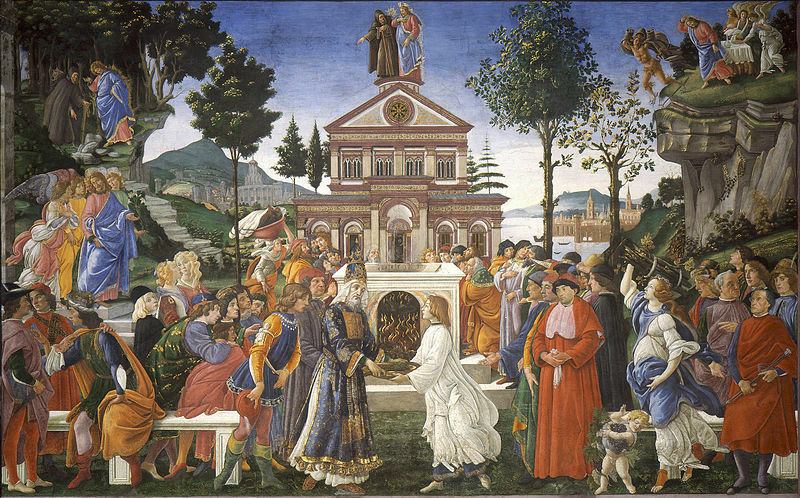 ‘The Temptations of Christ’ (1480 – 1482), displayed in the Sistine Chapel in the Vatican City, is an exquisite example of this principle. It presents a lively depiction of the journey that Jesus Christ went through combating the temptations of the Devil, with each inch of the painting revealing another phase of his victory. 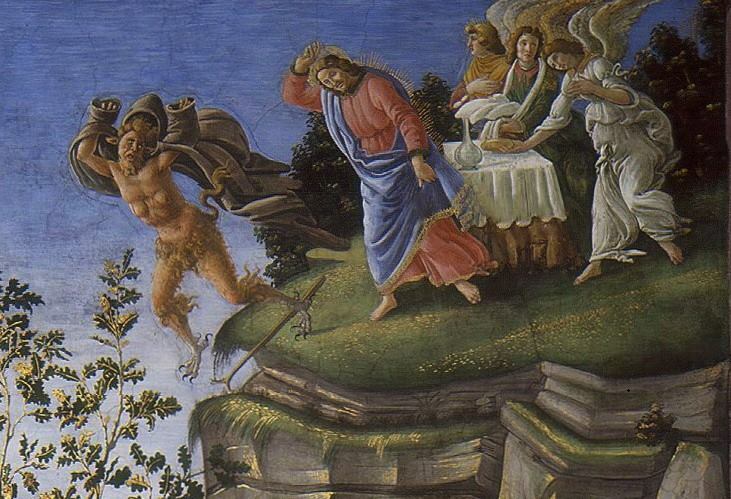 In the top left-hand corner of the painting, the story begins with an altercation with the Devil. The story then follows in a clockwise rotation, drawing the viewer to every inch of the depiction. This first scene shows a time when Jesus was fasting for 40 consecutive days and the devil came with a challenge, “If you are the Son of God, turn this stone into bread.” Jesus himself had the power to do it. But he did not respond to the provocation from the devil, because his godly powers were not intended to be arbitrarily displayed and miracles were not supposed to be shown off. His powers should only have been used for the purpose of salvation and consolidating the righteous faith of human beings. 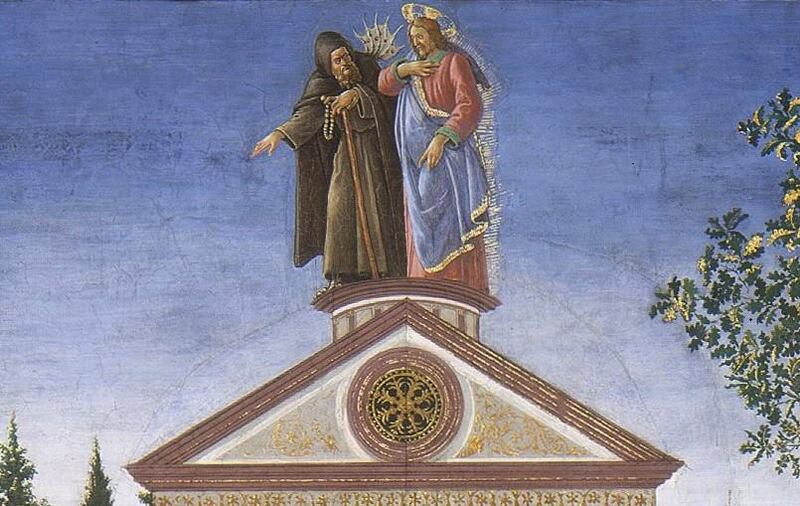 After failing his first attempt, the next scene depicts the devil and Jesus atop of the temple of Jerusalem. He continues to lure Jesus to do his bidding and jump with the message, “God will command angels to lift you.” Jesus calmly responds to the devil that he would not doubt his God and that defying what He preached was the greatest disrespect. 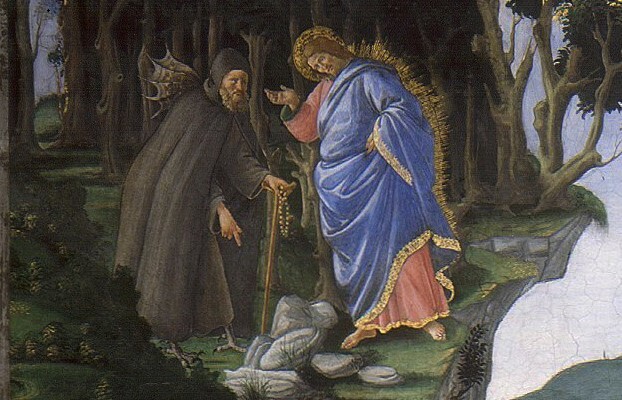 In his final attempt, the scene moves to a mountaintop, the devil shows Jesus the beauty of the earth and promises that if Jesus renounces his faith, he would have full control over the Earth. The devil says, “I will give you all power and glory, for all is mine, and I can give it to anyone, if you worship me, all will belong to you.” Yet once again Jesus expressed his firmness. Because of the firmness of Christ, the angels appear and the devil is forced to flee. This holds so true with the story of Jesus Christ. 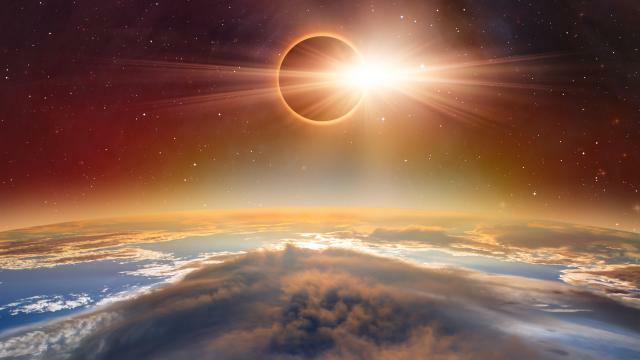 Although on the surface, spiritual practices vary across different cultures and religions, there exist commonalities when it comes to the tribulations confronting them. In Buddhism, Buddha, too, left behind his crown and his beautiful wife to walk the path of truth. And also experienced many tribulations in order to attain Enlightenment. Afterward, in order to spread his enlightened principles, the Buddha spent 49 years begging for food among his fellow man. Making himself an example to his disciples, and surpassing the chants of other religions in India. 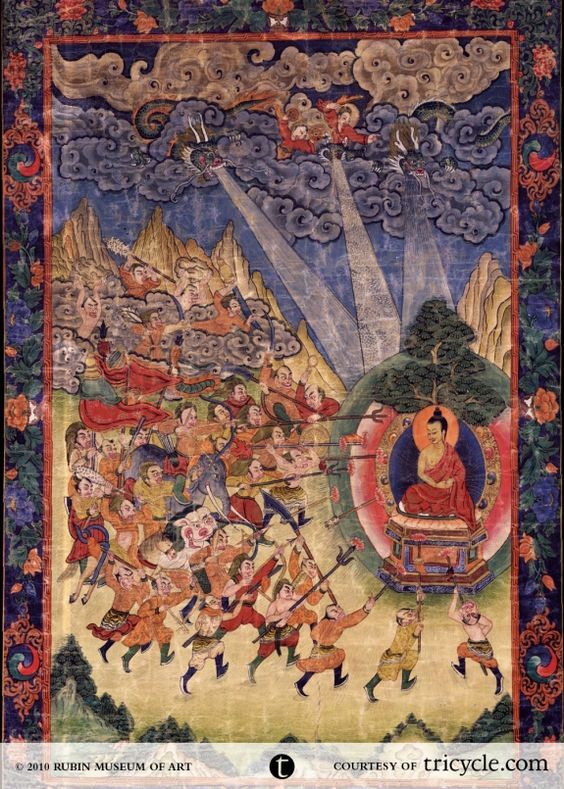 Finally, the Buddha left the mundane world without fulfilling his wishes, and his disciples fell into persecution. Likewise, Jesus had to undergo bitter hardships. He faced the temptations of the devil and confirmed his faith in God. He had to overcome the dogma of Judaism, and of the very people he wanted to save. Finally, Jesus was crucified, and his followers were persecuted for several hundred years. 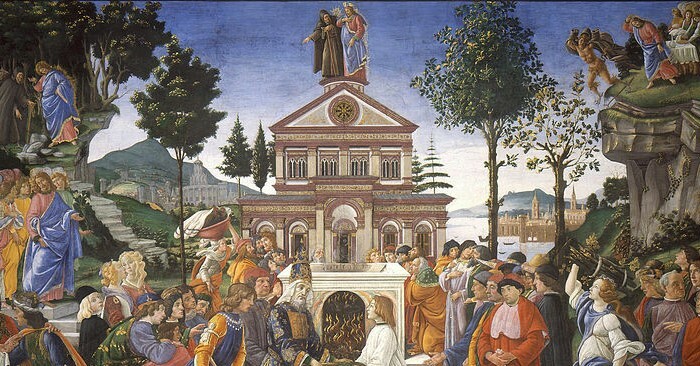 The image of a man with leprosy being healed by Jesus, at the foreground of the Botticelli ‘s painting, in Christian symbolism, is perceived prefigure the crucifixion and resurrection of Jesus Christ, himself. 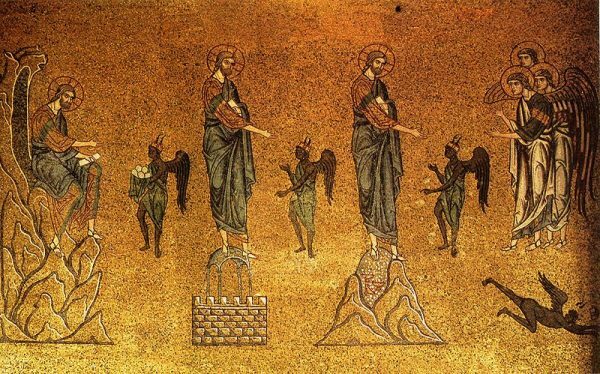 Given that relation, ‘The Temptations of Christ’, interpreted according to Oriental culture, can be considered as the ancient practice of an Enlightened One.